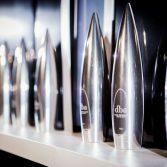 The Grand Prix in the 2019 DBA Design Effectiveness Awards has been chosen. The result – top secret until the awards ceremony on 12 June at the Royal Horticultural Halls in London. Could you be the winner? Hear what the judges had to say about the candidates for the grand prize, as we take a peek behind the doors of the Grand Prix judging. 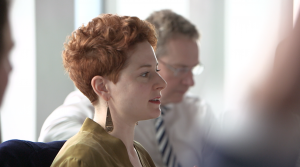 It was a beautiful morning overlooking the Thames when six prestigious judges entered the glass-walled boardroom to take on the challenge of naming the winner of the Grand Prix in the Design Effectiveness Awards 2019. An introduction from Chairman of the judges Clive Grinyer set the scene – as always – the judges measure the effectiveness and impact of design. As CEO Deborah Dawton says, it’s about ‘the difference design makes’. Businesswoman and entrepreneur Deborah Meaden, CEO of London & Partners Laura Citron, Arup Deputy Chairman Tristram Carfrae, Cisco Chief Executive, UK & Ireland, Scot Gardner, James Cain OBE, Chief Executive, Harrogate Spring Water and Mark Fairweather, CEO of Whitworths, came together at Coley Porter Bell for the third and final round of judging. Heated debate, persuasive points of view, for a while, the outcome seemed to lay in the balance – but in the end, a clear winner emerged. Of course, it’s top secret until the Awards ceremony on June 12th at the Royal Horticultural Halls in London.